Among the many things to do in Annapolis, shopping should be near the top of the list. In Annapolis, MD, visitors and residents alike can enjoy a wide variety of shopping experiences. In the oldest part of Downtown Annapolis — State Circle, site of the Maryland State House and the streets radiating from it are lined with art galleries, antique shops, gift shops, craft shops and other specialty stores. On Main Street, there is even a store boasting men’s clothing inspired by the city’s unique way of life. Dock Street, along the Annapolis Waterfront and near the Annapolis Naval Academy, is home to even more stores. Visitors to the Annapolis Waterfront may also want to stop at the Visitor’s Center gift shop while touring the Naval Academy. This uniquely Annapolis store provides USNA apparel, books and souvenirs with proceeds benefitting the midshipmen of the USNA. The Annapolis Boat Shows, held in October, offer another type of shopping. With one show devoted to sailboats and another devoted to powerboats, the Annapolis Boat Shows allow boating enthusiasts to shop for their favorite boats, boating accessories and marine equipment. Downtown Annapolis is home to the Historic Inns of Annapolis, many of the most popular hotels, seafood restaurants and other Annapolis restaurants. It is the lively, vibrant heart of the city. The Historic Inns of Annapolis are a group of boutique Annapolis inns that offer lodging and dining. 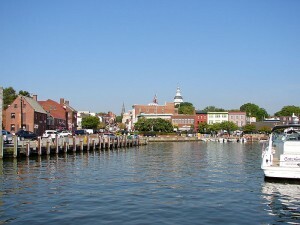 Annapolis hotels located here include the Marriott — the only one of the hotels in Annapolis directly on Chesapeake Bay. 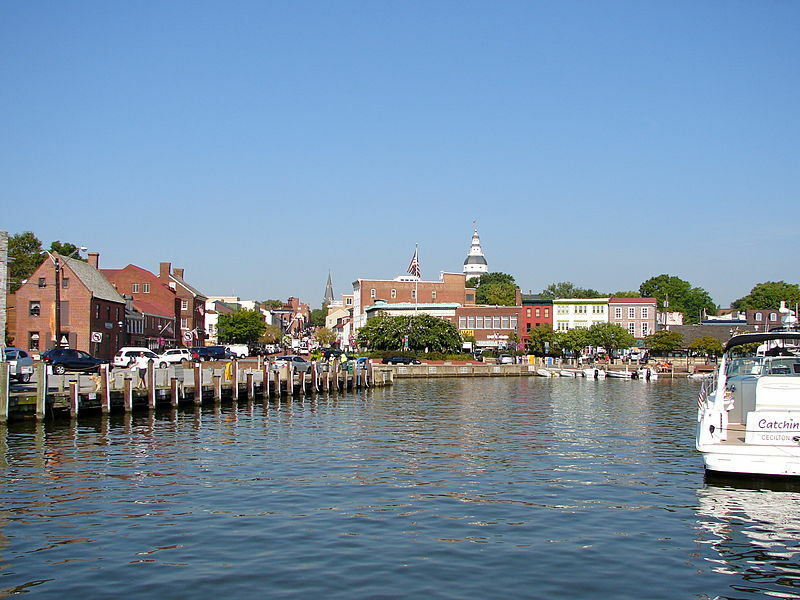 Annapolis restaurants in this area run the gamut from hot dog and coffee shops to fine dining establishments. Many restaurants in Annapolis reflect the city’s waterfront location and Annapolis seafood restaurants are known far and wide for the freshness of their fare. 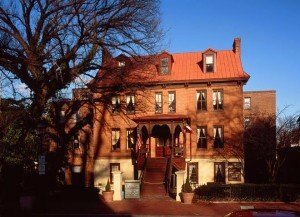 While the historic area offers dining, lodging and entertainment and is rich with shopping opportunities, it is certainly not the only area of this lovely city that offers things to do in Annapolis. Annapolis shopping continues in several malls just minutes from the district. The Harbor Center has many specialty clothing stores, furniture stores and food shops. The Town Centre at Parole features one of the largest Whole Foods stores in the country, along with clothing and home furnishing stores. The Westfield Annapolis mall is anchored by several large department stores and includes a wide variety of smaller shops including Aveda – our choice for all your beautification needs. So, trips to enjoy the many Annapolis shops and stores are convenient to both residents and visitors staying in the various Annapolis inns or hotels. Annapolis MD truly has it all when it comes to shopping.